No, do not even look for it. There is not a day 1 this time. Just a quirk. I wanted to challenge myself to a month of walking new places in my surrounds; to travel by foot and find new things nearby; to have the days coincide with the dates in April. Late start so that is why I am starting with Day 2 on April 2nd. 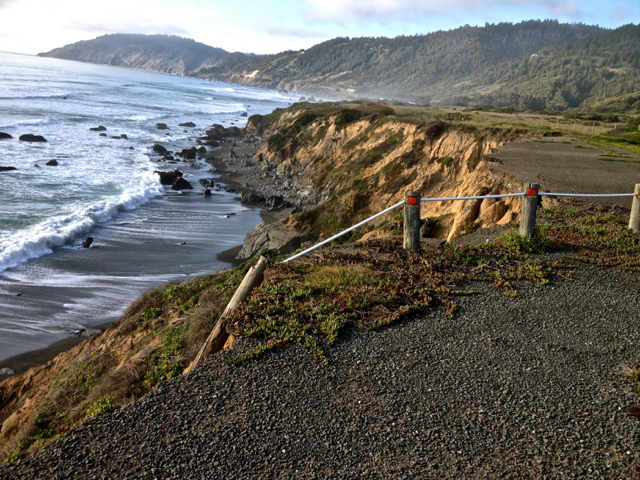 Just two miles up Highway 1 north of my new digs I wandered through a wayside state camping area. 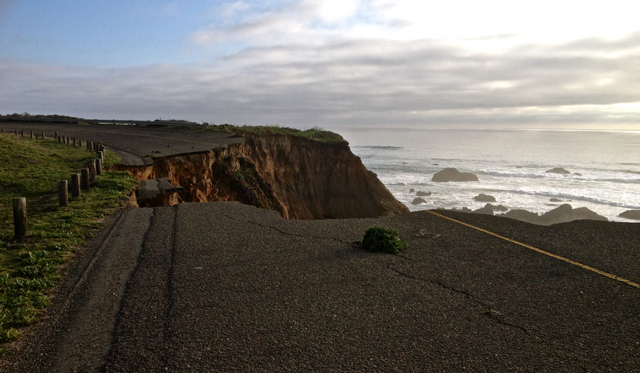 Part of it contains the old Route 1 which is slowly eroding into the sea. I do not wonder why they had to build a new Route 1. This entry was posted in Uncategorized and tagged HOME ON THE ROAD, tincantravelerPhotos, Wander And Wonder. Bookmark the permalink. Oh my, pretty scary. Mother Nature is taking back. I am so careful when walking here. Thanks, Cee. It is amazing to watch the daily changes in the coastline. No wonder they say California is falling into the ocean! I have to be spot on when walking that path.